"And I'd choose you, in a hundred of lifetimes, in a hundred worlds, in any version of reality. I'd find you and I'd choose you." - The Chaos Of Stars. 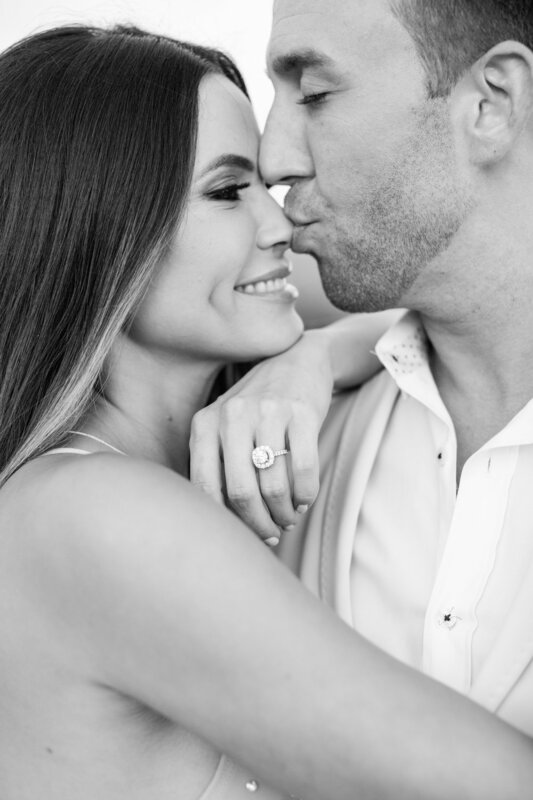 Adam and Allie are getting married on the 17th of September in Malibu, CA, and CB Creative Agency is helping them make their dream come true for this special day! We have been working with the couple from the beginning, taking care of every single detail: the venue, the interior and exterior design, the menu choices, and of course, a beautiful website for "The Sharp Wedding" . Here you can find Adam & Allie’s love story, photos from the couple, and all the information you need in order to assist to the wedding. The amazing Wheeland Photography and CB Creative Agency picked two different locations for the shoot: Laguna Beach by The Montage Hotel & San Onofre State Beach. At its core CB Creative Agency is motivated by a love for creative evolution, and we hope each blog post inspires you with our work. Be sure to check out our Facebook and Instagram pages @cbcreative.agency. Explore and navigate the latest news from our agency and stay tuned for upcoming projects and collaborations with our most wonderful clients: artists, interior design projects, photoshoots, events, logos & identity design projects. BRANDING: What Does Your Business Stand For?